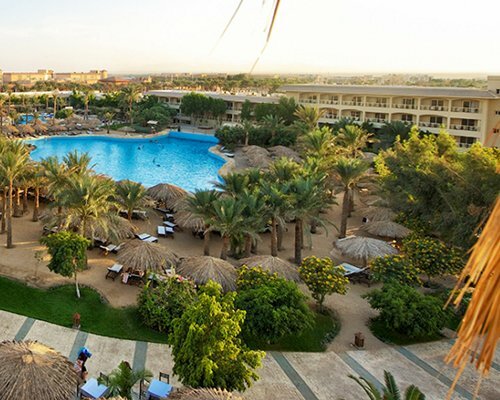 Shark’s Bay Oasis Hotel and Residence is a beautiful and tranquil beachfront Egypt resort where each private guest unit offers an incredible view of the Red Sea and Tiran Island. 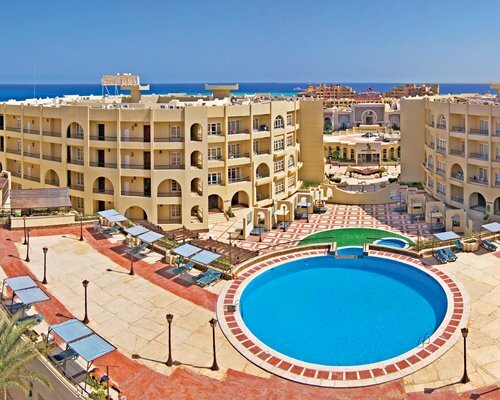 Shark’s Bay is an internationally known spot for scuba diving and snorkelling, and the resort also has four swimming pools and large sundeck areas for relaxing. 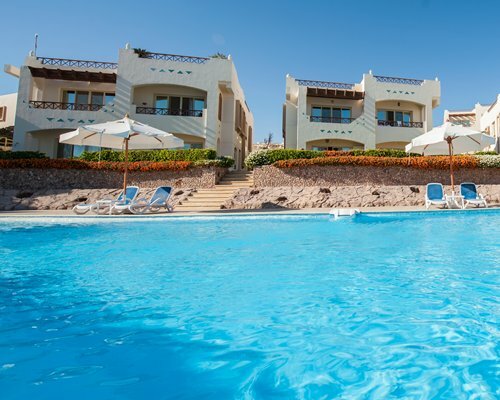 Guests can enjoy delicious seafood at the on-site beachfront restaurant, and the resort is close to the shops and entertainment of Soho Square. 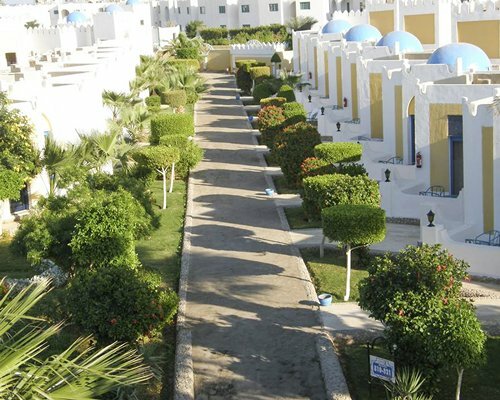 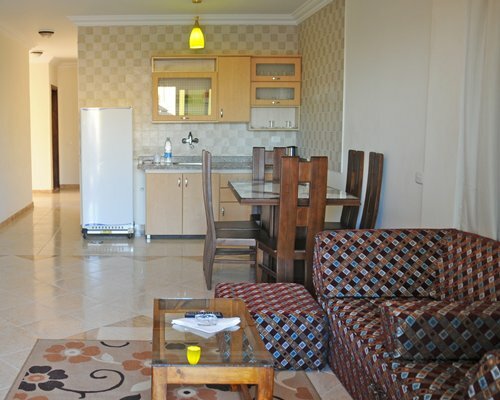 Each guest unit at Shark’s Bay Oasis is a full suite with a kitchenette with a stove, oven and refrigerator, dining table, living room, one or two bathrooms, one or two bedrooms, plus one or two outdoor balconies with views of the Red Sea. 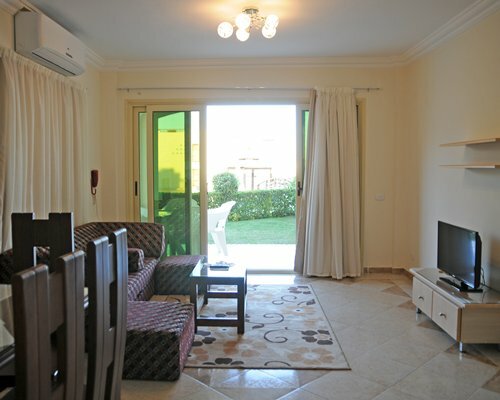 Each unit includes air conditioning and a TV with cable. 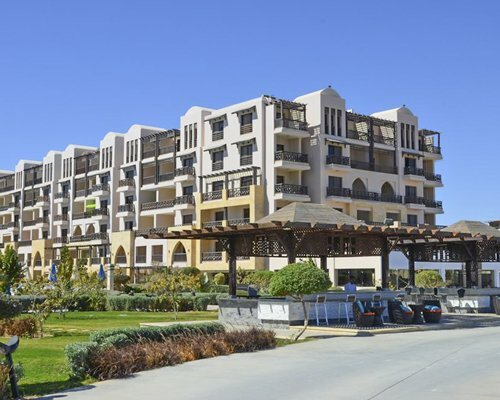 Many different units are available, ranging from 65 m2 to 104 m2, and the resort has more than two dozen buildings that each house two or more guest units. 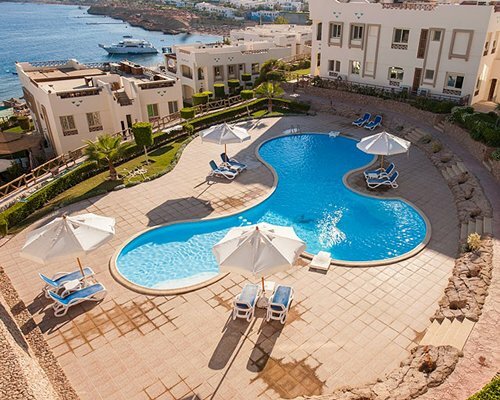 The resort is cleverly designed and positioned 29 meters above sea level so every guest unit has a beautiful view of the surrounding area and Red Sea.